Looking for the right ball? We put together this beginner’s golf ball buying guide to help you find the best golf balls for beginners. If you’re beginner golfer and looking for similar guides, I suggest checking out the Beginners Golf Guide with tips for buying gear, swing tips, golf etiquette + more and the list of best golf clubs for beginners. Later in the guide we list and review the best golf balls for beginners we found in our research. When first getting started in the game of golf, there is a lot to learn. You have to find places to play, learn how to swing the club, find people to play with, and much more. In fact, it can be a bit overwhelming if you are a true beginner. One of the biggest challenges is getting the right equipment in your hands and in your bag. You need clubs, shoes, balls, a bag, clothes, accessories, and more. Simply picking out all of this gear can be a time consuming process, and it can be costly as well. With that in mind, we are going to look at the best golf balls for beginners. Golf balls are one of the most confusing pieces of equipment to shop for, simply because there are so many options on the shelves of your local pro shop. However, if you know what you are looking for and you know where to find it, picking out golf balls will quickly become an easy task. If you’re looking for a ball that gives you more distance. You may want to also check out this guide on the best golf balls for distance. As a beginner you want to look for golf balls with two-piece construction. Two-piece balls are made for casual rounds of golf, not competition play. Two-piece golf balls are the best for golfers with handicaps from 15 36 and with swing speeds in the range of 70 to 85 mph. Another benefit of 2-piece balls is they are significantly less expensive than three or four-piece balls. Two-piece balls spin a lot less in flight. 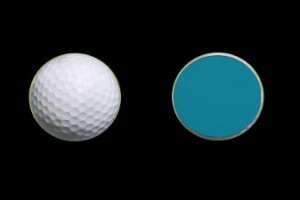 Because of the limited spin, two-piece balls tend to go a bit straighter off the tee but a down side of the limited spin is you will have less control around the greens. For any beginning golfer, ball flight and distance are usually common issues. A another benefit of two-piece balls for beginner golfers is they give more distance. Most beginners would be fine with additional yardage. Good news! One of the best ways you can find the right golf ball for you as a beginning player is to look at the price tag. If a dozen golf balls of a particular brand is going to cost you more than $20 or so, you can move on. There is simply no reason to spend a lot of money on golf balls when first getting started, so you should only be shopping among the cheapest models on the shelf. Why should you go bargain hunting for golf balls? Well, for one thing, you are going to lose these golf balls rather quickly in all likelihood. Beginning golfers tend to be wildly inconsistent, so you will probably hit some great shots followed up by some terrible ones. Buying cheap balls will help you stomach the fact that you are likely to lose at least a couple in each round. Also, you don’t yet have the skills to take advantage of the characteristics offered by an expensive ball. High end golf balls – the ones that cost $40 or more per dozen – are meant for accomplished players who can handle the spin they are going to produce. A high spin ball like this in the hands of a beginning golfer is only going to make the game more difficult. In summary, buying cheap golf balls will both save you money and make the game a little bit easier for you as a beginner. It’s a win-win situation! Want some tips on the best ball for you? We put together a list of the best balls for beginners to help you buy a better ball for your game. 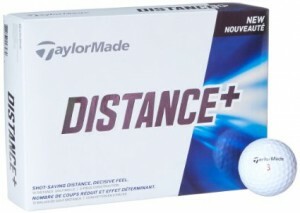 This ball is soft and is popular with both beginners and senior golfers because of the distance slower swings can see. Callaway’s marketing states this ball is designed to go straight and long and golfers seem to agree. Golfers with a clubhead speed slower than 95mph off the tee with a driver will love the Callaway Supersoft ball. Golfers with a clubhead speed over 100mph may find the Supersoft balls travel shorter than some other high compression balls on the market. 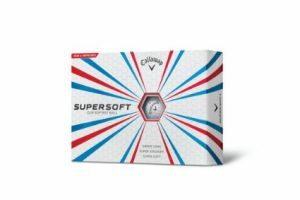 Balls in this price range are not designed to perform great around the great, but the Callaway Supersoft is better around the green than most similarly priced balls. The Nike PD 9 promotes excellent distance off the tee while still providing the necessary feel for your short game. This is all aided by a low compression core for optimal energy transfer and a 314 dimple, softened, durable Ionomer cover which helps the ball stand up to rough courses and hard hitting swings. 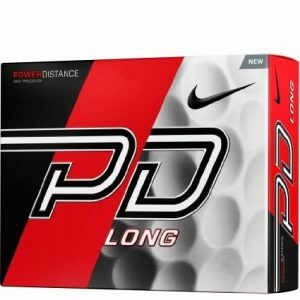 Softer than most average golf balls, the Nike PD 9 is designed more so for golfers with slower swing speeds who want to add distance to their game, straighten out their flight path, and do so without losing the all-important feel in and around the green. 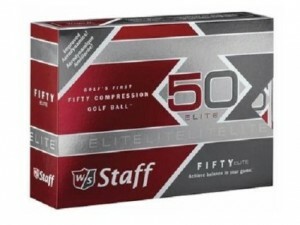 The Wilson Staff 50 Elite balls are good off the tee, great on approach and putting. The best part is these very competitively priced balls performance compares to much more expensive balls. Golfers typically report getting additional distance with these balls. Flat bottomed, shallow dimples for a more stable, penetrating ball flight. 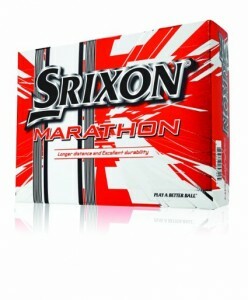 The Srixon Soft Feel composite 2-piece high visibility golf ball is designed for a range of players, but specifically those with lower swing speeds. It utilizes a resilient, low compression Energetic Gradient Growth core which helps to maximize energy transfer for improved distance off the tee. The Srixon Soft Feel also offers excellent ball speed and lower spin while driving, adding even more distance to your game. This is further enhanced through higher trajectory flight and greater lift. A high Moment of Inertia means off-center shots will remain fairly accurate and its 344-speed dimple pattern helps maintain accuracy in strong winds. Good Value but you may need to add your all putting line to the ball if you relay heavily on those. The marking used on these don’t stand out great in the sun. As typically with 2-piece balls the Distance + balls have good distance but are a bit more difficult to control around the greens. Some golfers report to seeing 40+ more yards off the tee. 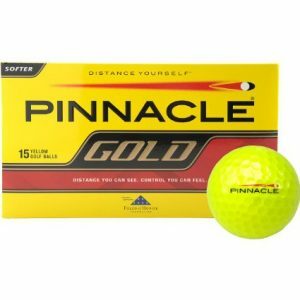 The Pinnacle Gold balls use the same cover as some more expensive Titleist balls, so hopefully you won’t see as much wear and tear on the cover. You won’t get tremendous spin with these, but if you hit the ball decent enough you should be able to get them to stop on the green. The limited spin should help most play with slicing or hooking the ball. This 2-piece ball with a 98 compression rating is known for being aerodynamic and highly durable. At its center, you will find the Energetic Gradient Growth Core which provides a high coefficient of restitution resulting in the ability to fly great distances without sacrificing control. Protecting the core, is a .071 inch thick ionomer cover with a 333 dimple design. This ball is recommended for swings of any speed and will hold up for even the hardest hitters. For those looking for mid to high launch angles when using your driver, and low to mid spin when using your wedge near the green, this is the ball for you. Each of these options typically sells for less than $20 per dozen, so they are a great way to get started. Know that you’re going to lose the dozen or more balls this week? Another option is to buy used balls. There are plenty of places online that sell refurbished balls that someone fished out of a pond or dug up out of the woods. Another popular category are logo overrun balls. Charity tournaments, local course and corporations often print custom balls with their logos. You can often find deals on balls where something goes wrong with the printing or when too many balls are printed. It seems like a lot of people recommend lostgolfballs.com. I’ve always used Amazon. Realistically, if you’re a beginner you need to visit the driving range as much as possible. If there is just one point you take from this article, it should be this – beginning golfers shouldn’t spend too much on golf balls. You don’t yet have the advanced skills necessary to use a more expensive ball, and you are likely to lose them quickly anyway. Save money buy purchasing cheap dozens and gradually look into higher-end golf balls as your skills develop in the years to come. Want more guides similar to this? Check out our guides on the best golf balls for women and the best golf balls for distance.